I haven't been updating this website/blog as frequently as I should have, lately. I'm not entirely sure how wide a reach it actually has compared to my social media profiles on Facebook and Instagram, however I do have an exciting announcement to make - there is a new Christmas pattern in the home♥stitch♥ness Etsy shop! I find that inspiration often strikes in threes, for me. 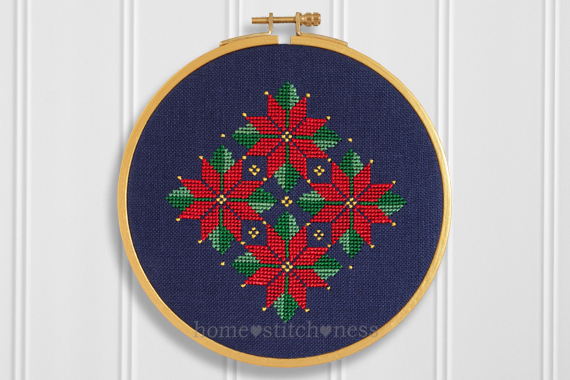 This time last year, I had released my Pohutukawa and Red Flowering Gum hoop art designs but ran out of time to stitch the Poinsettia version, which was bouncing around my head as well. I decided to wait and release it this year instead. 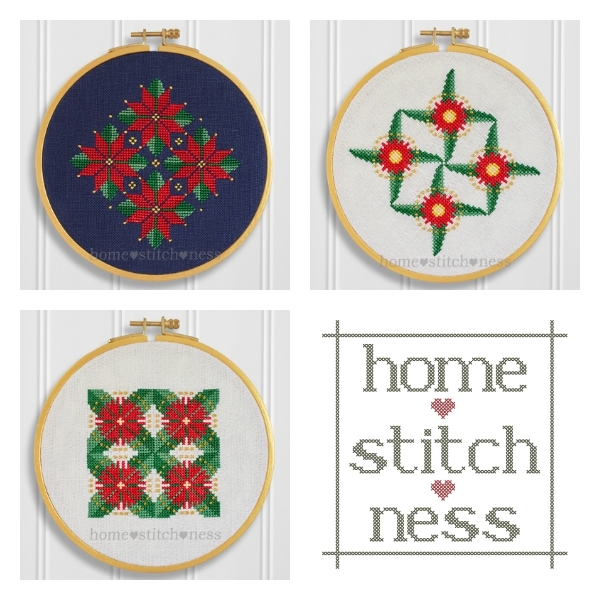 I am pleased to say that there are now three different home♥stitch♥ness Christmas hoop art ornament patterns available. I have updated the 2014 hoops with a splash of gold paint to match the Poinsettia hoop and couldn't be happier with how the gold has added some extra Christmas sparkle to these designs!